We introduced our 60th Anniversary T-Shirt, at The Winter Dance Party, at Surf Ballroom in Clear Lake Iowa, at the 60th Anniversary Celebration. We are now offering the T-shirts online. Our new T-shirt tells our story. 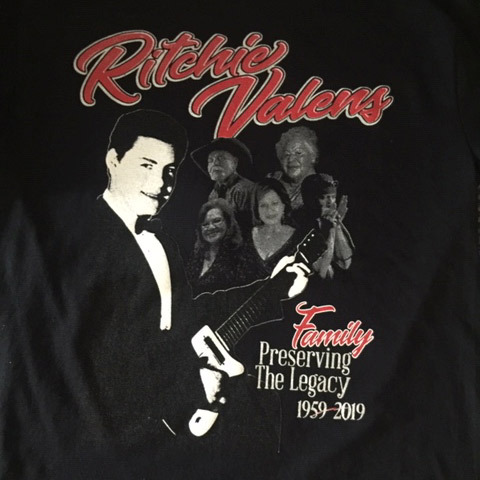 A Family behind the Legacy of our brother Ritchie Valens who at the age of 17, became a Rock and Roll Pioneer. Ritchie stands in the forefront, and the family a hologram in the background, preserving his music and legacy.